I am yet to make a baked cheesecake, but for the quantities I make and need at home, it seems far too laborious. The last time I made and posted no bake cheesecake I used regular cream cheese, although unsalted, it left a slightly unpleasant taste after gulping down. It could be because of the preservatives in the cheese or for the fact that it did not blend well with icing sugar. This time around, I decided to use home made mascarpone mixed in with a bit of sour curd to get the right taste. 1) Crush the biscuits with the butter in a food processor to form a mixture. 4) In another large bowl, whip the cream and icing sugar to form stiff peaks. 5) Add the cream cheese and fold it in. Add the vanilla essence and mix again. 6) Pour this mixture on the biscuit base and let it refrigerate for an hour. 7) Sprinkle the cocoa powder on top. delicious homemade mascarpone and this cheesecake is so tempting and yummy!! loved the sprinkling of cocoa on top.. If you look at the ingredients of cream cheese, you will be convinced that making it at home is the best course!! Way to go , Pradnya!! You talk about baked cheesecake, something that I have been planning to make for so long..this sounds interesting..after hearing so much about your home made mascarpone, I must surely give this a try sometime..
Love the way u served this cheesecake, vanilla and coco combo, a prefect pair,beautiful cheesecake. Very tempting! !!! Kids would love for the cocoa!!! No bake cheesecake is perfect.. Your version sounds delicious. 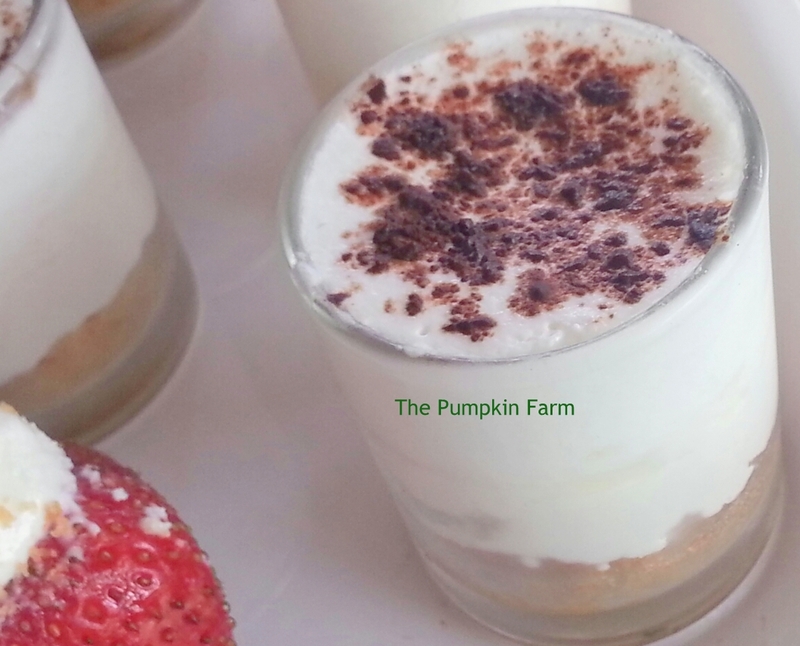 Cheesecake in a glass! Cool. Even I keep postponing the cheesecake for the same reasons as yours. Wish I would do it someday.